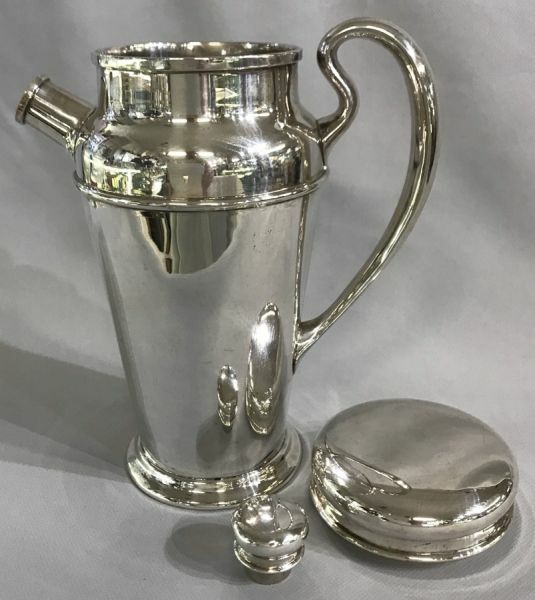 Art Deco Birks sterling silver cocktail shaker. 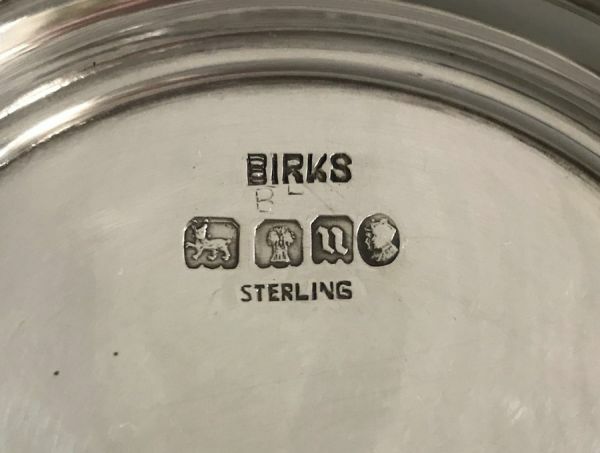 The Birks company had their own hallmark dating method, borrowed from the British system. 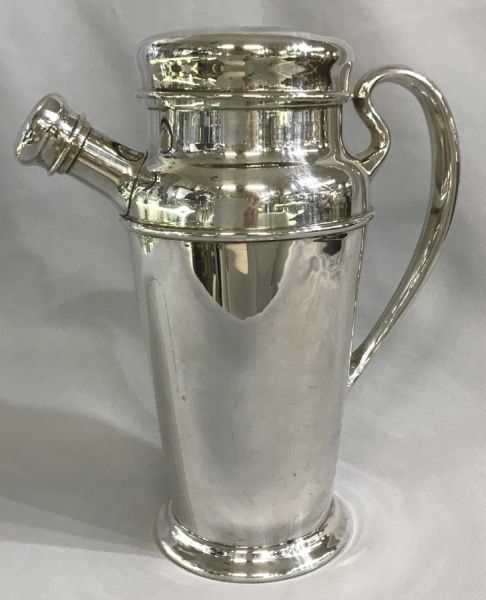 This piece has the date cypher for 1935 which has a double silhouette portrait of King George V and Queen Mary in their Silver Jubilee year. 8 1/2” high, 7 1/2” spout to handle.